I love the New Year. I love reflecting on the good, the bad, and the AMAZING. I also love to think about next year and how I can grow as a mom, wife, teacher, and person. I have a journal that I always scribble ideas, thoughts, and quotes in. With the New Year coming, I find myself writing more. 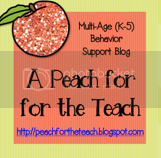 I thought it would be fun to link up with A Peach for Teach. Thank you for hosting this fun party! Do you want to link up? Click Above! Personal: I need to take better care of myself. I find myself getting stressed out over little things when I don't eat right, workout, and pray daily. Professional: I feel like my students needs are ever changing. 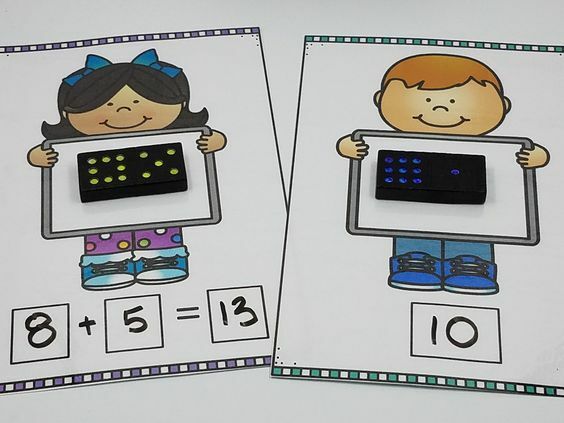 I need to continually change my teaching style to meet the needs of my students. Classroom: I'm not going to lie. Monday morning my room looks amazing. By Friday, it's a hot mess. No Joke. I have buckets, files, bins, etc. I think I have too many organization tools. Or maybe they don't meet my needs. Somehow, someone, I WILL find a way to keep my room clean and organized. 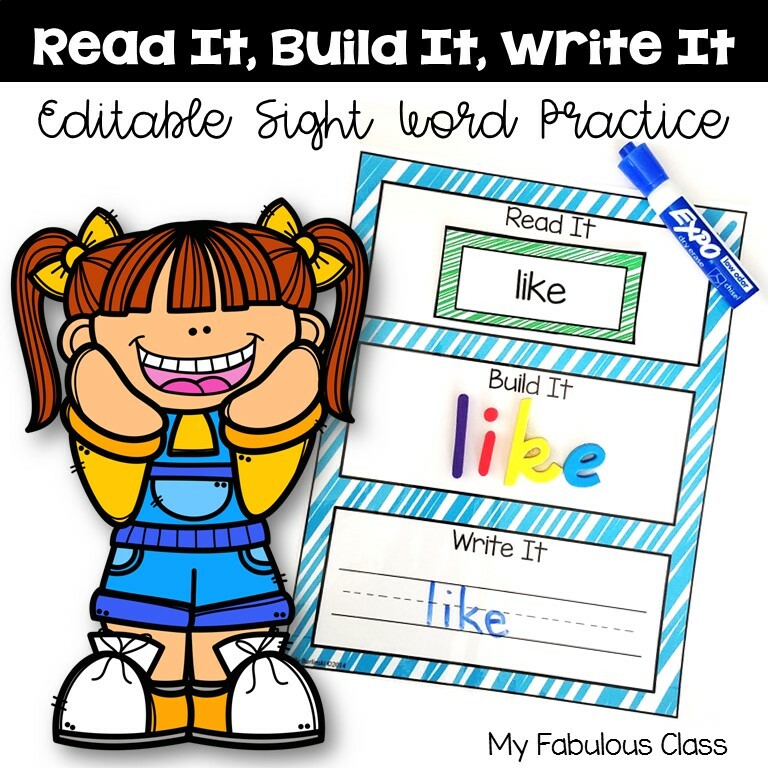 Blog/TPT: I hope to blog more often. I want to share with you all the amazing things happening in my room. 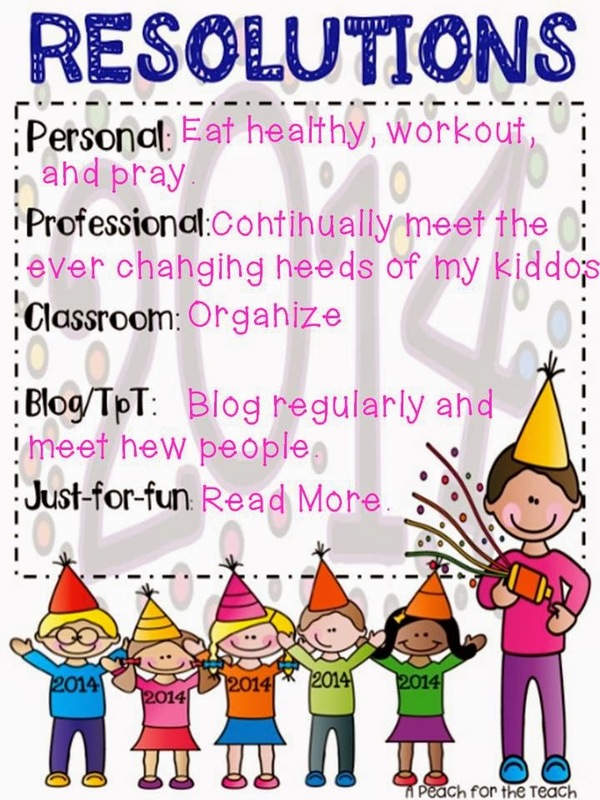 I have met some amazing people on TPT and in the Blog world. I hope I continue to make new friends. 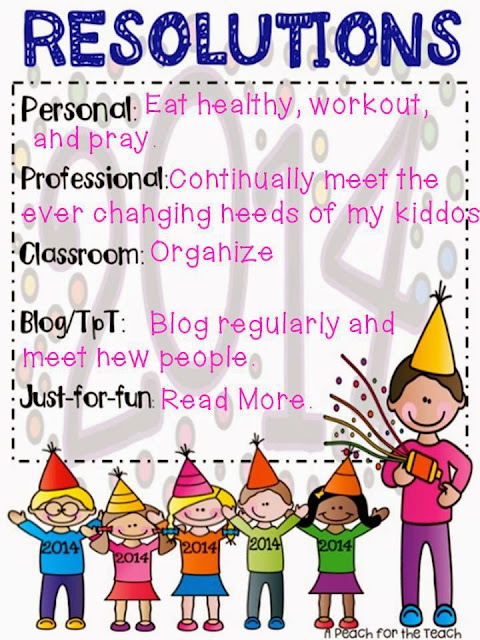 I really believe I have become a better teacher since entering the blog/TPT world. 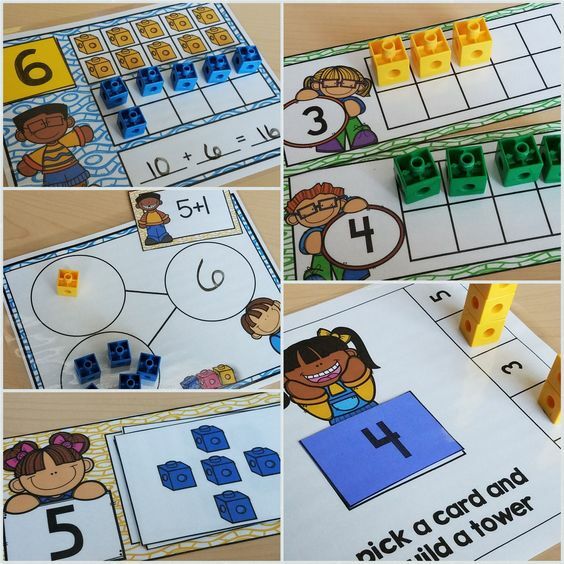 It really makes me think about the products I create for my classroom. Plus, I am always being inspired by all the amazing teachers out there! Just-For-Fun: I collect books. Like a LOT of books. I never have time to read them. I'm hoping to read 12 books in 2014. One a month isn't too bad, right? 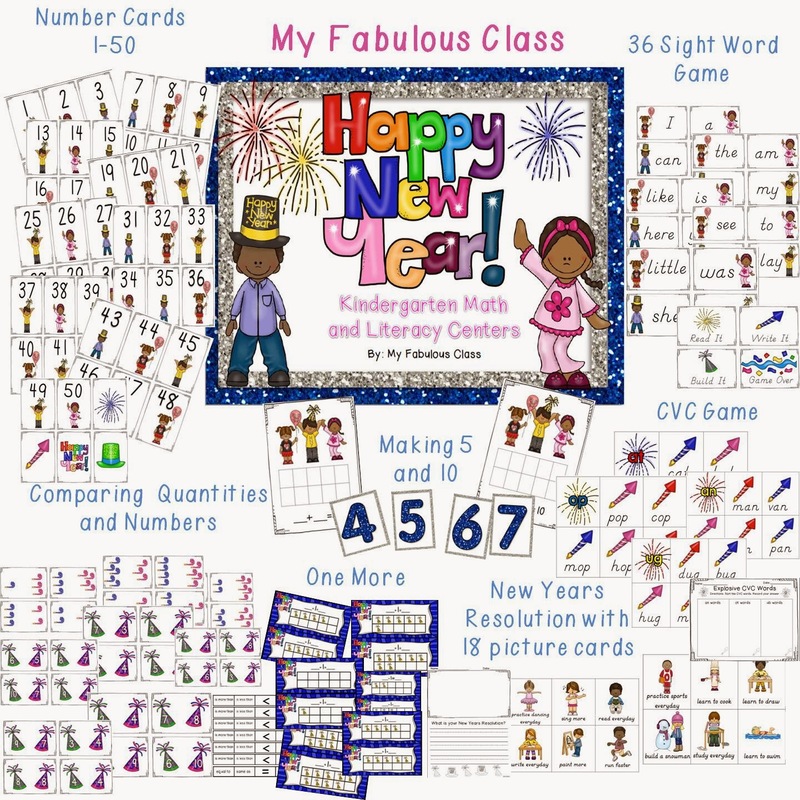 Tomorrow, I will post about my New Years Math and Literacy Centers. 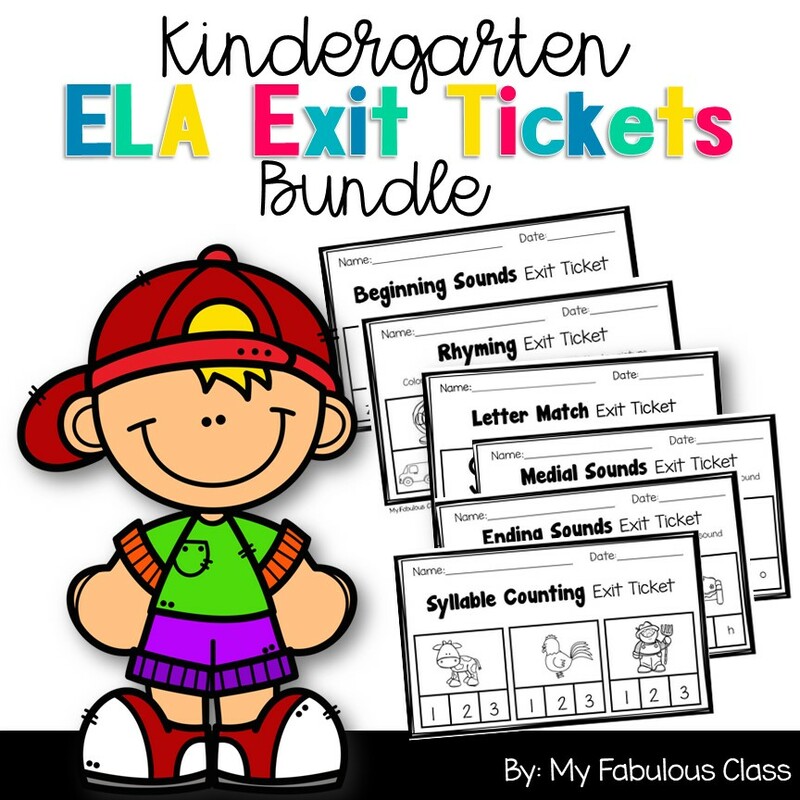 It is discounted for a limited time. I might even give away a pack! Hi, Kelly! I liked reading your resolutions! I also "collect" books when I mean to read them. I should add that to my list haha! Thanks for linking up! Happy New Year! 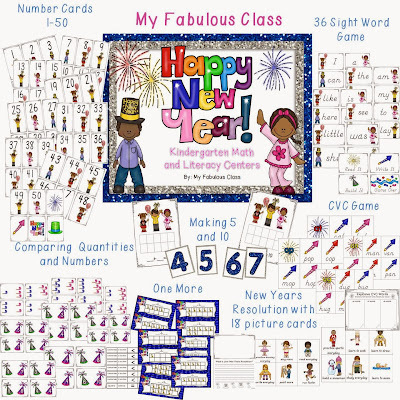 I concur with your resolutions 100% :) Awesome New Year's packet!! Happy New Year to you and yours!! Ha! I hear ya about the book collecting! Last summer, I read 22 books and then didn't read one (adult book) during the school year. I guess balance is a problem for every teacher. I'm a new follower! The Winter Blog Hop is here!!! !